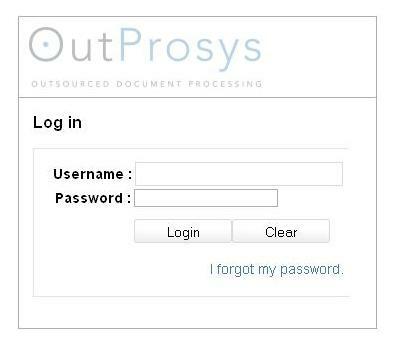 View a demo of our Document Management Web Portal that provides you real time access to your scanned documents. Want to see more Web Portal and Data Capture service benefits? View our Data Capture blog. 1) By delegating responsibilities to external agencies companies can wash their hands off functions that are difficult to manage and control while still realizing their benefits. 2) Freeing up internal resources that could be put in to effective use for other purposes is also one of the primary benefits realized when companies outsource or offshore. 3) Some companies also outsource to help them expand and gain access to new market areas, by taking the point of production or service delivery closer to their end users. 4) Lower operational and labor costs are among the primary reasons why companies choose to outsource. When properly executed it has a defining impact on a company’s revenue recognition and can deliver significant savings. 5) Outsourcing and offshoring also enable companies to tap in to and leverage a global knowledge base, having access to world class capabilities. In the age of minutely optimised business processes, identifying whether or not your business is in the right space for outsource data processing can be a tricky process. Taking care of business and personal requirements can eat up a lot of your precious time. Processes such as insurance claims, surveys, forms, checks, customer document processing and image processing need experienced hands. Recruiting and training new personnel to handle this can take time and the results might not be efficient. Outsourced data entry companies have the relevant experience and can handle this to your satisfaction. If you have data in hard copies that you need converted into soft copies, then outsourcing to data processing companies could the right option to take. Typing data from scanned images into computer applications can require a team of people who are experienced, especially if you are looking at huge volumes. The advantage outsourced data entry companies provide is that of ready and experienced staff. It is not easy to find tailored data capture services especially when you are dealing with less established outsourcing firms. Offshore firms in BPO optimized countries evolve with new data processing technologies. Companies with large volumes of documents that need to be scanned and indexed can require high-speed scanners that are expensive and may not be affordable to small-scale businesses. This process can be outsourced to data processing firms that can do it at affordable costs. The result will definitely be high resolution and neat documents. Indexing on the other hand is very tedious. Categorization, retrieval of information, conversion and archiving need experience as well and advanced technologies. For both SMEs and established businesses, outsourcing to data entry companies can be a feasible choice especially if the documents and the data involved is not too sensitive to be handled by outsourced companies. In a general sense, it is a way of getting your data processed quickly at an affordable cost.